Personalized Two Sided Reflective Yard Marker - - decorative safety yard marker has the same reflective text on both sides. Also known as a 911 address sign. Holds up to four 3.5" characters or five 2.75" characters. High visibility text is reflective in the dark to enable ambulance, fire, police, and other emergency responders won't to spot your address easily. Sign is made of 16-gauge galvanized steel. Post is made of 16-gauge 0.5" powder-coated steel and designed to withstand weather elements. Your personalized text is applied using high-quality reflective vinyl. Dimensions (overall): 5.5"W x 59"H; weighs 3 pounds. 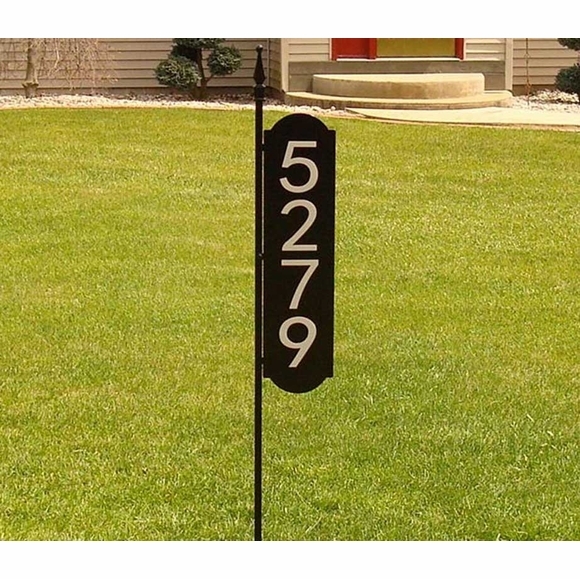 Post size: 0.5" x 0.5" x 59"H.
Decorative safety yard marker has the same reflective text on both sides. High quality, handsome, and easy to read from the road. Perfect. Easy to install. Visibility is good. Hopefully now we will get our deliveries without our neighbor being bothered. This sign works on so many levels. 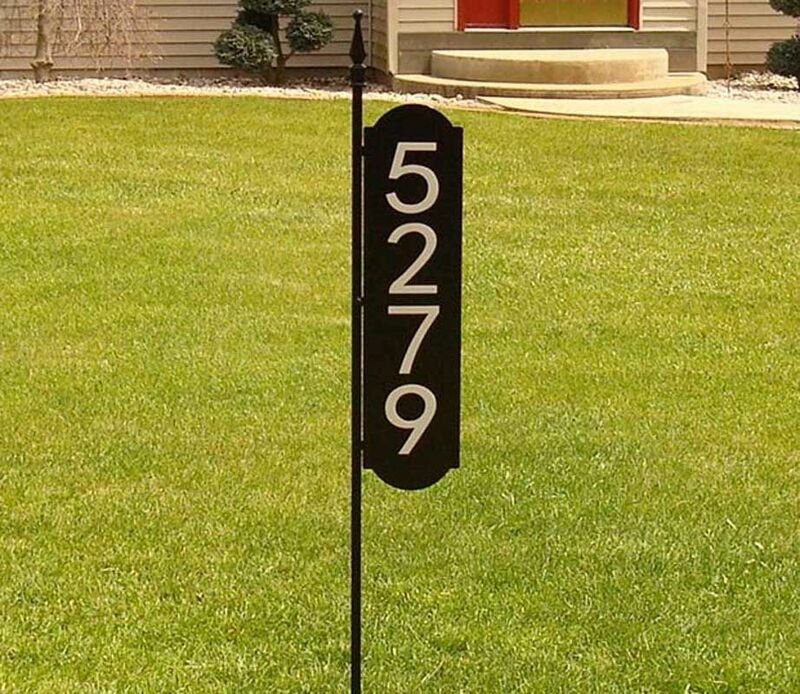 We needed a reflective house number marker that would not be too "look at me - I'm a giant house sign!" This sign is made of quality materials and really is easy to see when lit.